Over breakfast this past weekend, I described a group of folks predisposed to become engineers as “naturally curious.” Like any intellectually stimulating field, it draws a unique group of tinkerers who often think in ways that allow them to step through a given problem, reducing complexity along the way. However, unlike some other professions, our curiosity is required to be evenly distributed, covering both the dense and sparse portions within a field of study. Some even study outside their own field to better understand challenges faced by their clientele. Digital technology, my chosen segment of the engineering field, is usually complicated by a staggering number of mostly invisible moving parts. Like reporters, engineers in a crisis often look for who (or what) caused the issue and why certain events followed. In that moment, the least pressing question, how a given mistake was made to begin with and whether or not it can be prevented in the future is often delayed until a postmortem review can be completed. Studying decisions that led up to past failures in order improve future outcomes is a common practice in the software world. It’s also a concept I find valuable when applied to other industries and projects. As many of you know, I founded The Machine, an independent broadcast network, in July of 2013. It operated out of my Chicago home-based studio, producing well over 200 hours of educational radio programming before I shuttered operations on December 1, 2015. The overarching plan was to build a community arts organization that trained and equipped citizen documentarians, hopefully unleashing a creative, news-making renaissance in the otherwise frustrated City of Chicago. I believed, and still do, that media literacy, including basic training on how to go about creating your own media as a young person, is essential. The Machine was one avenue I followed in pursuit of that goal. I expected to launch as an on-demand media house, producing and distributing educational, thought-provoking talk programming, since that’s what I knew best. Music features, though a part of the master plan, were to be delayed until I was sure we had a stable base of listeners. An extremely small group of early listeners who tuned in to Kickstand 1.0, the show that would eventually be rebooted to host our live-in-studio music series, will recall I faced much criticism for the music we did choose to play. Only a few weeks in, that show quickly shuttered amid a flurry of unpleasant emails from armchair critics who assumed they knew better. In response, I began constructing a studio to be proud of. It couldn’t be glitzy; we barely had the funds to purchase much-needed gear upgrades roughly every couple of months and decor was purely accidental, but it was our creative home and we thoroughly lived in it. Since the beginning, I joked that we needed one of those classic, overused couches often found in performance lounges and studios worldwide. Of course, there is precious little space in a spare bedroom to begin with, so the odds of attaining that vibe, joking or not, were slim. We made do with a few barstools and placed records around the sound dampening panels to fill visual space. Looking back, that considered but loosely-put-together aesthetic became our signature. In late September, I aired a groundbreaking interview with Los Angeles’ pop culture-rockers No More Kings. Like most radio programming today, it was painstakingly edited to ensure maximum density; but after several critical listening sessions, I chose to relax several cuts before the final release after realizing that I had inadvertently ruined a natural dramatic arc. I was surprised to find that unedited (or loosely edited) stories could be listenable, enjoyable even, and shortly thereafter, I decided to begin recording most shows live-to-tape; in real-time with only minimal editing after the fact. Instrumentation and sound design would be handled as digital tape scrolled past, creating a permanent record of our broadcast. This strategy, of recording mostly real-time, in-person, worked exceptionally well for months. Friends who guested on programming for the network exclaimed, “you really do know how to create a podcast!”, and often, asked for production tips. By the end of 2013, just six months after our initial launch, we were growing at a rapid clip. Booking popular guests, including local celebrities, became incredibly easy. Even touring artists, like Cincinnati’s The Neutral Sound (pictured above) frequently stopped by to perform on-air, which gave a sense of legitimacy to my newly launched broadcast outlet. For the first time, I allowed myself to feel hopeful about my childhood dream of using radio to expand the horizons of many, as the medium did for me. 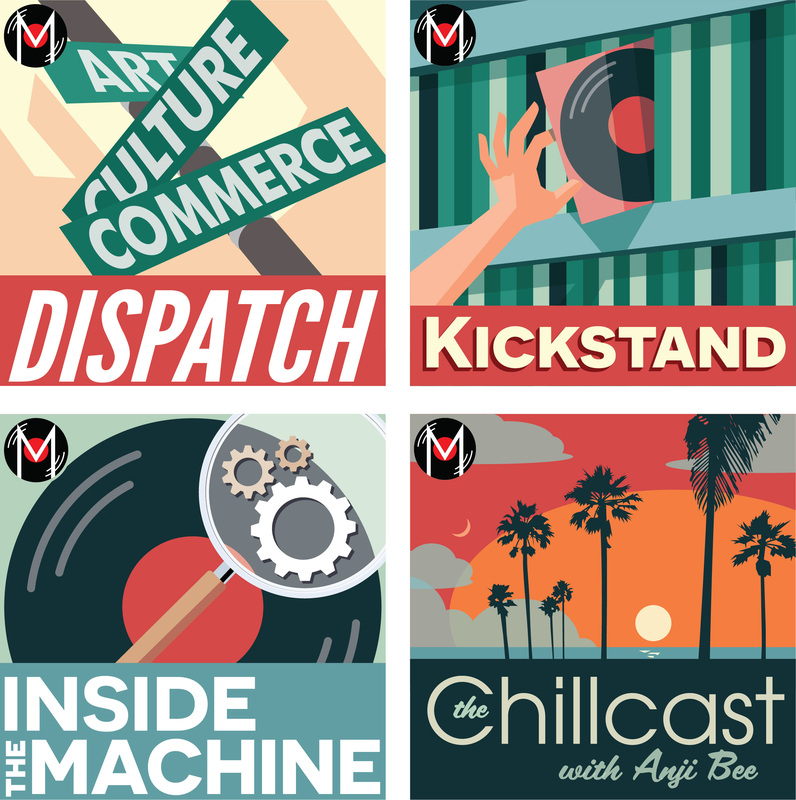 Buoyed by the success of Dispatch, our self-described “talk show at the intersection of art, culture, and commerce,” and my long-form music interview series, Inside the Machine, 2014 was the year I decided to step on the proverbial gas pedal. Listener feedback was clear: we had the audience and momentum to launch additional shows, perfect those in our current lineup, and if I had the entire wishlist, broadcast live. See, each time we planned a show, I would solicit questions from our audience in hopes that their voices would become part of the recorded conversation too. If you’ve organized an event of any size, you know it’s hard to get a crowd to think ahead, and unfortunately, the most imminent questions arise while listening, which practically necessitates that the program is produced live. But streaming audio from our studio proved to be a daunting task that pushed my engineering skills to the limit, primarily because we had to do it on a shoestring budget. By late May, I had patched an older Mac Mini into our audio console, installed basic radio automation software, and trials commenced. By August, my goal was fully realized, as Ovetta Sampson’s fitness program, Ordinary Mortals, was recorded live on the air in its entirety. Many of our programs would soon follow, including Dispatch and Inside the Machine, both of which quickly came to anchor our live broadcast calendar. Our regular broadcast time of 7:00 pm US Central Time, we were told, placed us in a nice mid-morning radio time slot in Australia. We were reaching around the world, live, in as close to real-time as possible. And it was magical. While streaming live added operational complexity during the broadcast, it really didn’t alter the week-to-week flow of producing the show itself. By this time, I was filling out my role of Executive Producer-at-large, juggling planning and production duties on four individual programs, overseeing network operations, co-hosting on one program, and hosting another full-time. Growing pains are inevitable, and we had them aplenty: trying to book studio time for existing shows while launching new ones was anything but enjoyable. Still, it was essential since several of our contributors didn’t have access to a home studio, or were operating with gear on loan from myself. Recording live also afforded me another luxury: when scheduling studio time, most of which was for new shows that needed schedule flexibility, listeners’ regular media fare wouldn’t be interrupted because our stable of flagship shows would continue production at a predictable time and pace. The decision-making process went as follows: if Dispatch was every Thursday night at 7:00 pm, then I could schedule sessions earlier in the day for shorter, pre-recorded segments for other shows a month or more in advance, saving precious energy on long studio days. During 2014–2015, The Machine, with myself at the forefront, helped create and distribute a veritable treasure trove of radio, including Ashly Dalene’s twice-monthly Chick Habit, a celebration of diversity the music industry, and Kriss Stress’ documentary project, Gender Inbetween. Both of these programs were recorded exclusively in our North Chicago studio, and I don’t think it’s a stretch to say they wouldn’t have happened — at least not in the same quality — without the financial support and community provided by The Machine. Even though I was feeling the winds of success, it didn’t take long before I concluded my role was unsustainable. In detail, launching a new show began by consulting on artwork with our designer, Charles Riffenburg, before I moved on to planning show format, establishing a studio routine with the newly minted host, and finally, booking guest appearances. I would then return to the mixing console, producing — and often writing the notes for — every episode thereafter until I found a suitable replacement for myself. At the onset of every new show, I made plans for the host to eventually self-produce with a suite of presets that I developed. This plan, while reasonable, never worked out, so instead, we began the hunt for volunteer producers who already had talent. Even though the network’s future demanded it, I still felt like I was unable to disconnect. No matter, though, as it would soon be forced. My planned obsolescence had begun. Joshua was the longest-standing contributor to The Machine, and I’m exceptionally grateful for his input. However, for the sake of future listeners who may happen along our broadcast archives and wonder where the network disappeared to, I’d like to contextualize several of his points above. Since I’m currently re-publishing The Machine’s catalog of shows, and the Reddit post above can be found in relevant search terms for shows that were broadcast by The Machine, now seems like a fitting time. As we often discussed on-air, the internet is permanent. This is an attempt to provide the most complete, accurate, picture of a project gone astray. The greatest misconception about The Machine’s finances was, I suspect, caused by the significant differences between running a hobby podcast (an activity I suspect a rapidly increasing number of folks have at least considered) versus a professional broadcast outlet. Podcasting at the scale we required to reliably deliver shows to our listeners around the globe was and remains expensive. For instance, if an episode of your personal show doesn’t download correctly or rapidly enough, listeners, I’ve found, are mostly forgiving. In contrast, when a flagship show on The Machine released late, didn’t release, or only downloaded partially, I was the first to hear. Utilizing a global content distribution network (like PBS, or any other major content supplier) ensured every listener received the full show, every time, and at a decent speed. We handled this technical challenge cheaply in comparison to 2004, when I first began tinkering with distributing digital audio over the internet, but somebody still has to pay. Consider the following equation: if a 60-megabyte podcast is downloaded by 60,000 listeners, we would’ve used just over 3,515 gigabytes of data ((60 x 60,000) / 1024). If we calculate bandwidth prices based on today’s going rate, that would cost $294.53 to distribute, assuming that all listeners are in the United States, which I chose as a limiting factor because it’s Amazon’s cheapest geographic zone. I considered contracting with Libsyn Pro, a professional podcast hosting service, rather than paying by the gigabyte on a standard Content Distribution Network (CDN) and handling everything else in house. In the end, costs for all options were all equally high. I opened many dialogues with network providers, thinking that maybe one of them could support our bandwidth needs in exchange for advertising, but none of those conversations were successful. This narrative is quickly confirmed by listening through our broadcast archives wherein I repeatedly mention that our bandwidth — specifically for podcast traffic — was the largest consistent expense. At one point, we consumed $300 monthly on bandwidth alone, prior to launching the live stream. Carrying shows live, if we don’t consider the Mac Mini I already owned but configured for audio playout, cost us a whopping $5 per month. In the later months, it became even cheaper. Our personalized call in number, while I paid $25 upfront for it, was a similarly priced monthly expense that only seems extravagant. I’ll say it again. Somebody has to pay, and in this case, I paid. Why? Because I thought we’d eventually turn a meager profit that allowed us to continue following the plan I laid out earlier. Because I wanted to do something great for the arts community in Chicago. Because I believe, like the great Studs Terkel, that the stories of individuals are worth documenting. 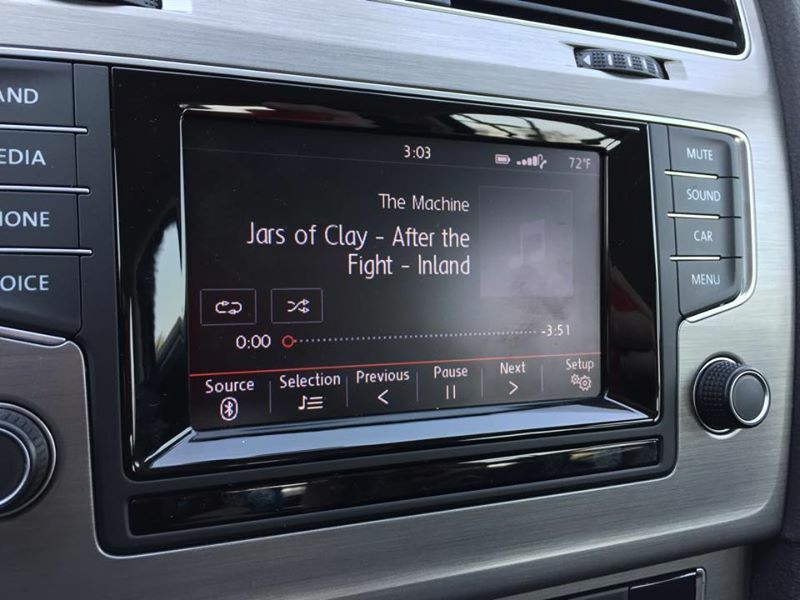 From the very beginning, I envisioned The Machine as a tight-knit community where listeners and contributors all played a role in shaping our final product. A major part of that vision was soliciting buy-in (and yes, financial contributions) from listeners, and in December 2014, I announced that we would be offering rewards to donors for monthly contributions of $1 per month and up. We gratefully accepted one-time contributions as well, but it was the same for us as every other public media station: monthly donations were the most reliable source of funding. It’s true, once we began accepting donations, donors didn’t come through in the way I expected. We asked for donations on every show, and our costs (primarily based on usage) were stabilizing, but still only a handful of our listeners chose to become sustaining monthly contributors. Even fewer saw the cost-cutting process I began in mid-2014, aimed at getting the rapidly ballooning cost of hosting under control. It was a period of incredibly high growth, but that kind of success is financially painful if it isn’t offset by listener donations. My efforts to stablilize and reduce costs were largely successful, which brought our site hosting bill to around under $50 per month, most of which went towards our site. Network bandwidth for podcast downloads was billed separately, which once billing agreements were settled on, was often an additional $250, give or take a few dollars. All in all, $300 per month isn’t that extreme when you consider our reach and professionalism. By the time we began soliciting donations, the earlier cost issues were largely resolved, for the moment, at least. Perhaps my assumption, that folks would contribute a small amount per month to keep the project going was too idealistic. So, we began giving out pro-bono ad spots, usually to past guests who also owned businesses, in hopes that they would buy in. “Think local, broadcast global,” was our mission at the time. After all, so many of our “local” businesses had a potentially global footprint via the web too. To this day, I’m convinced that hosting friends and featuring their businesses did a lot for the health of Chicago’s small business community, and I’m proud to have done the work, even if it’s a bit sullied because they, by and large, didn’t support us in return. Maybe our message was unclear, but none of the pro-bono ad placements resulted in sales to us, though we measured the impact as rarely insignificant. We did our part and sent traffic, the rest is up to the advertiser. What bothers me the most about Joshua’s comment is that he insists “the network was more ambitious than it really needed to be…” It was ambitious indeed, but it wasn’t ambition that drove our costs. The main problem, as I eluded to earlier, was my scattered time and inability to focus on future concerns. I needed daily network operations, which I had spent countless hours training everyone for, to remain constant while I stepped away to focus, even for just one day, on long-term business and legal goals. Any event that prohibited my ability, as the leader, to plan for our future success virtually ensured the demise of The Machine, as it would to almost any large scale project with multiple stakeholders. By mid-2015, I suspected The Machine wouldn’t survive the winter. Difficulties, technical and otherwise, didn’t seem to be letting up. September brought intermittent issues with our Mackie Onyx 1220i, which shut down completely in the middle of a broadcast in early November. Before my fellow audio nerds become upset, no, the 1220i isn’t a broadcast console. We had a clever, if temperamental setup that allowed us to make do: several channels could be siphoned off the mixer and recorded, while other audio flowed through the automation system into remaining channels and out to our listeners on the stream. This setup allowed us to broadcast and record from the same studio using consumer equipment and keep costs low, but make no mistake, it was a hack. I had hoped to replace our console before it died, even opening up lines of communication with every major broadcast console manufacturer, and discussing my long-term goals for community radio in Chicago. The hope was to pair our successful roster of educational (and rapidly diversifying) shows with their desire to empower local broadcasters and gain attention in the process. When those dialogues failed to illuminate prospects, I pushed even harder on donations. Maybe, I thought, we could pick up enough spare capital to fund a backup or replacement console. This saga, detailed in an earlier (and more general) recap post, ended with most listeners remaining silent as we aired an emergency call for help and contributions beginning the day after our console failed. While financial concerns were the most visible symptom of the network’s dysfunction, internally, other issues were also of note. Could I replace the console with funds out of my own pocket? If all else was fine, absolutely. To be honest though, the more I mulled it all over, the mental math calculating all we’d lost and would need to replace, just didn’t add up. Some costs were emotional. Had the console been repaired (which was again, similar in cost to purchasing a new unit), I felt I’d be returning to a team of volunteers who were clearly benefiting from my work and financial investment, but as the post above shows, recognize significant conflicts between their vision and mine. I saw training our staff until they grew comfortable with live broadcasts as a priority, and I knew (as discussed above) the crunch of scheduling studio time firsthand. I’m sure some folks thought I was being intentionally difficult to work with, but the reality was that I had severe limitations: if one show decided to reschedule last minute, the broadcast calendar for multiple shows could be affected. In the midst of this process, I slowly began to realize that I had created a project so democratic that it destroyed itself. In the later weeks, I found myself subconsciously dropping titles of authority on the air in futile attempts to psych myself up and take control of the organization I wanted so badly to succeed. Astute listeners will hear the frustration in my voice and over-the-top delivery, hopefully understanding it’s a symptom of what was happening inside my head and heart both. I could restart with an all-new team, but with my first child on the way and health failing, that prospect was far too daunting. Additionally, I also knew that a move to Colorado was likely in our cards. If we couldn’t afford to operate the studio out of my home, how would we afford multiple points of presence in Chicago and my new Denver home? It wasn’t a matter of just letting the frustrations go in Illinois and leaving it all behind either; most radio makers I encountered were excited about The Machine and wanted to help me do the work. Those folks still needed a studio to call home. I didn’t want to pull up roots and relocate when it meant I might be leaving them behind, hanging on an offer I could never fully extend. As Joshua asks above, why couldn’t The Machine reverse course and return to the bedroom podcasting outfit we originally were? A lot of my decision was clearly based the delicate balancing act between sunk and future costs for a given plan. In our case, we still would’ve required a new audio console capable of supporting four in-studio participants. Our monthly bandwidth costs would’ve continued to pile up and need to be paid, as well. The one time expenditures were relatively easy to plan for, so long as they weren’t large. Once the console went out, I was forced to make a decision between paying for bandwidth, a new console, or having to dig deep into my personal coffers yet again, to ensure we had a stable runway for another year. All considered, it was a hill I didn’t have the stamina to climb, so I exercised my prerogative as the Founder and lead investor to shut down operations, on a schedule that allowed ample time for potential donors to step up and rectify the situation. In the end, a clean break came in the form of a shutdown. Maybe it’s for the best. Even after operations ceased on December 1, 2015, I still had to disburse several hundred dollars to wrap up our affairs and pay off remaining balances on our hosting accounts. There’s little doubt, had we continued, the same costs listeners shrugged off would be here today, in even greater amounts. Also, like before, I would still be paying most, if not all, of the bills out of pocket. Why shutter The Machine? What I experienced throughout most of 2015 was a perfect storm, designed to take us down from every angle: apathy from potential donors, internal frustration over priorities and scheduling, we had a touch of it all. Like the quote above illustrates, it can be tough to wriggle free of apathy’s grasp: at home, in your workplace, and most difficult of all, the wider world. I felt as though I’d worked for years on a grand vision only to see it discounted by those who I thought were the most understanding and supportive. And amid that turmoil, I decided to cut existing losses and move on. Do I consistently have thoughts about where and when I could’ve done better? Absolutely. But I also realize that, according to Inc.com, 96 percent of businesses will fail within 10 years. It’s sobering yet empowering knowledge after a major failure. Will I return to the airwaves? Perhaps. For now, I see this as a childhood dream delayed, not yet denied. My hearing has been severely affected over the last year by Ehlers-Danlos Syndrome, and as a result, I’ve lost a lot of confidence as an audio engineer. But my desire to share compelling stories is present as ever, so regardless of the medium, I will continue to write, speak, and hopefully, broadcast for you in the future. Whether it’s a radio show or blog post, I’m still out to Educate, Inform, and Empower you to do your best work.